It took long enough, but let’s celebrate the sun FINALLY coming out after a long winter. 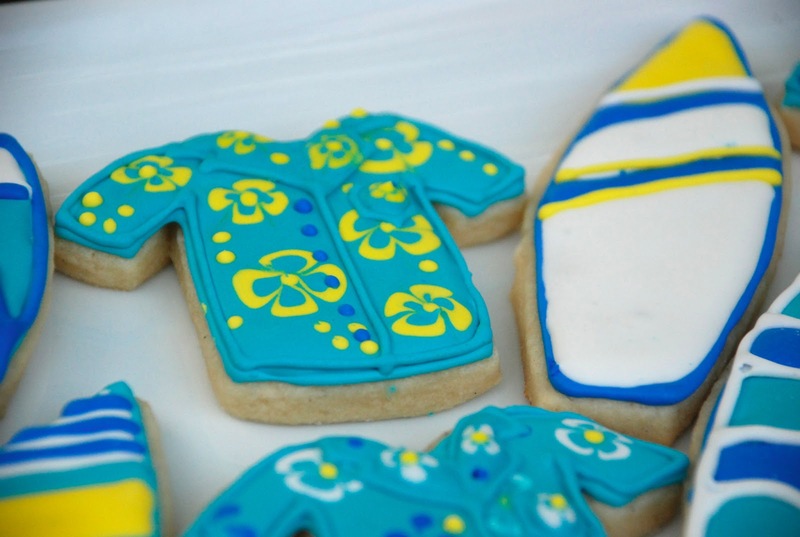 These were actually Christmas/Holiday cookies for some of my dad’s surfing pals, but I didn’t think my East Coast readers would appreciate the bragging about SoCal weather had I posted them back in December. 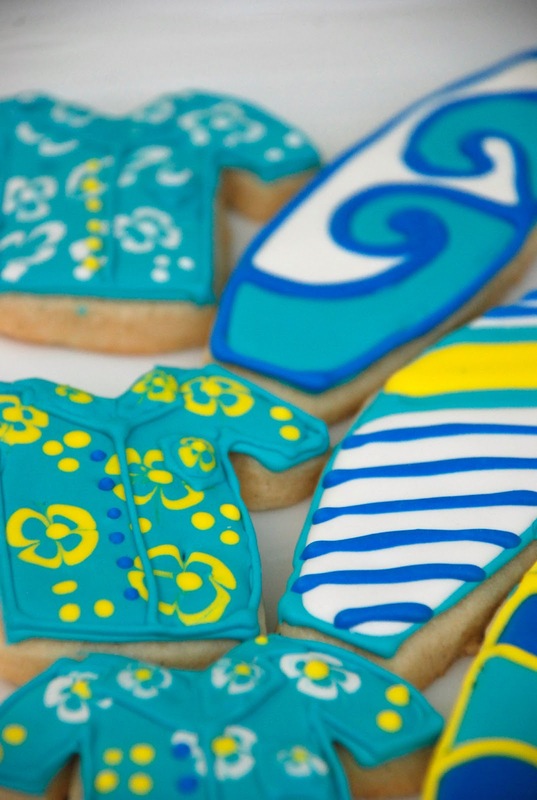 Hawaiian shirt cookies and edible surfboards. 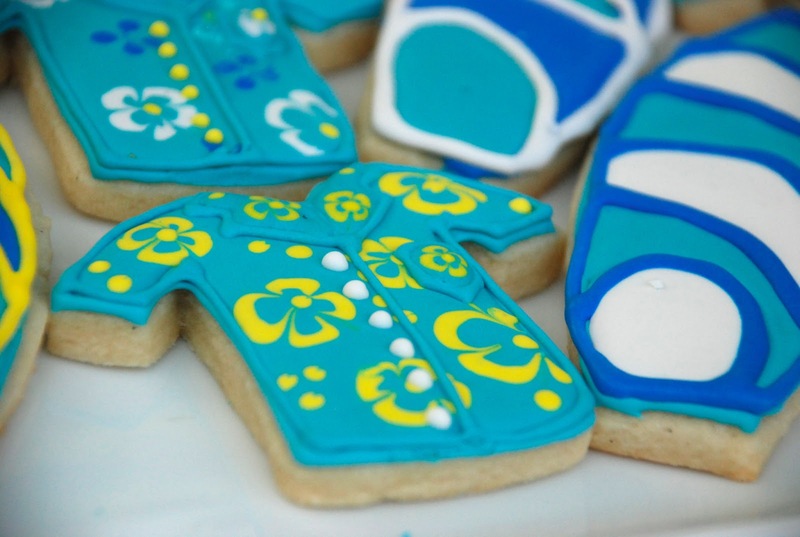 The floral print on the Hawaiian shirt cookies was done using a marbling technique. I put icing drops of one color onto the still wet base and used a toothpick to draw each dot in to make a petal. I always want to make a tutorial, but you have to work fast with this technique and I never have enough hands to keep the camera frosting-free! The little pocket on the breast of the shirt is my favorite. 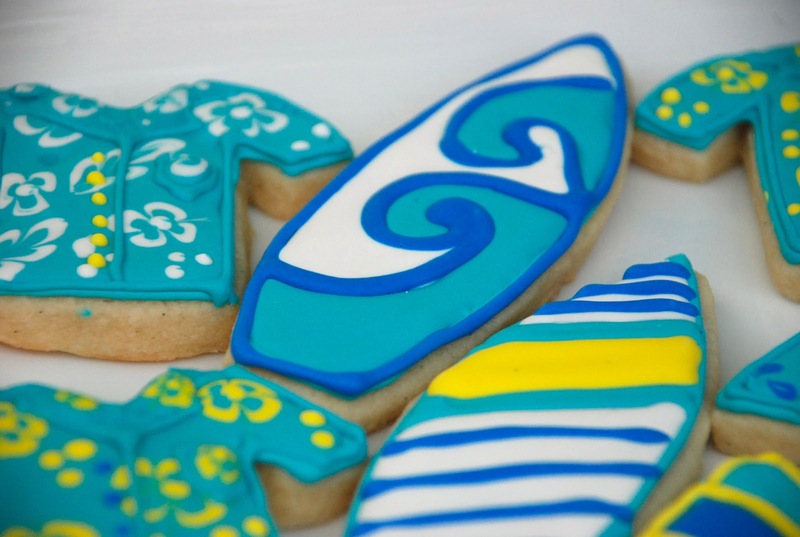 I had fun with the surfboard designs. 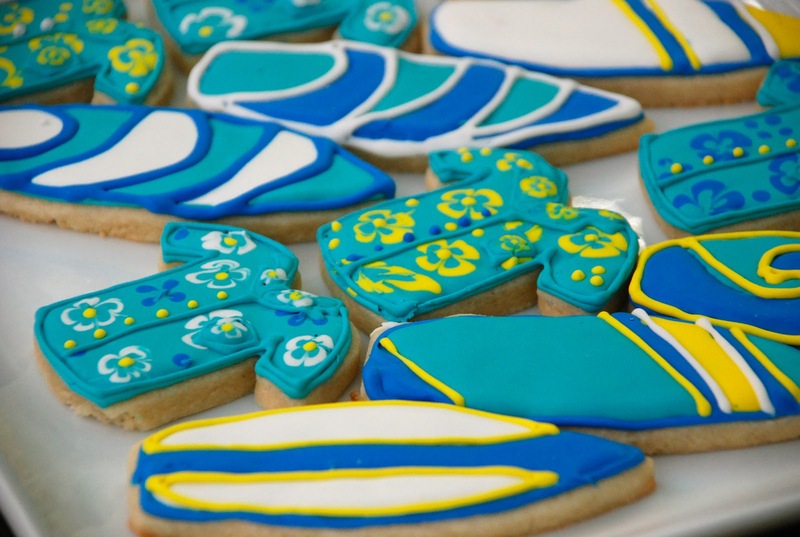 I just piped wavy lines and filled them in what whatever color pastry bag I was holding. 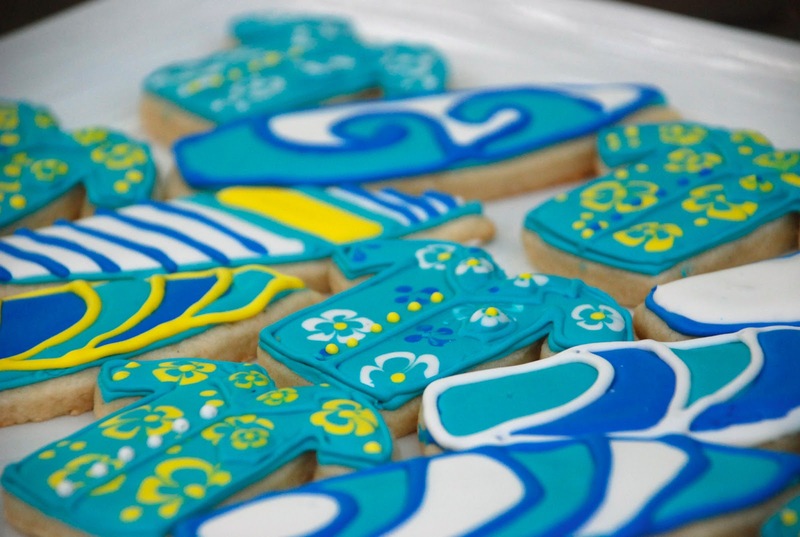 I was running out of royal icing at the end so I eeked out whatever was left and I just made it! 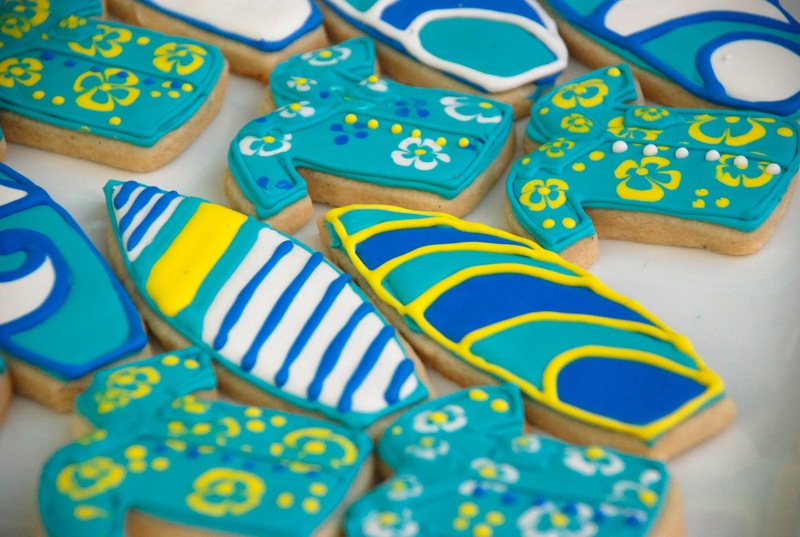 Don’t they make you want to head to the beach and lay out in the sunshine? 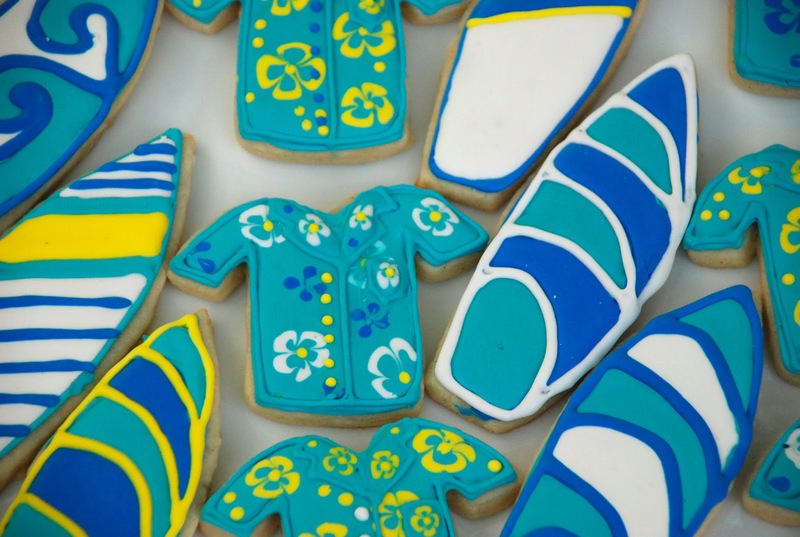 Here’s to springtime and summer!